Taking a tough stance on terrorism, the PM asserted that he will find out those responsible for such acts in India "even if they hide in the bowels of the earth." 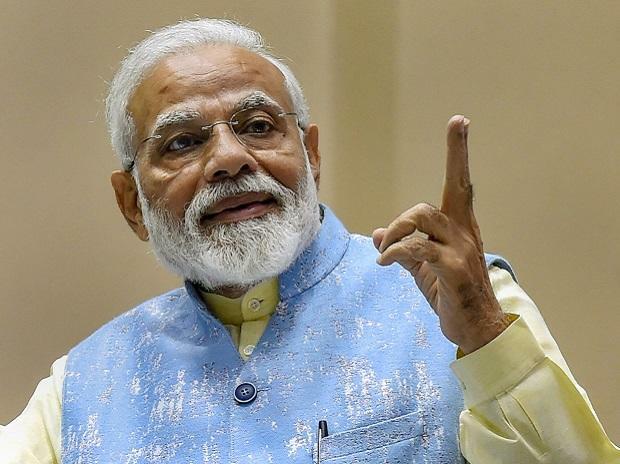 Prime Minister Narendra Modi on Monday indicated that last week’s air strike in Pakistan won't be India's last such action against terrorism emanating from the neighbouring country. Addressing a gathering here, Modi said he will target them (terrorists) “even if they hide in the bowels of the earth”. “If one work gets over, our government doesn't sleep, but gets ready for another,” Modi said, in a veiled reference to the February 26 air strike on a terror camp in Pakistan. The remark elicited a loud roar of approval from the crowd. “We won't lag behind when it comes to taking big and bitter decisions,” he said. Modi asked Opposition leaders not to malign India's armed forces and desist from giving statements which may hog limelight in the Pakistani media. “What our opposition leaders say become headlines in Pakistan newspaper today,” Modi said. "It is our principle to kill them by barging into their houses," Modi said. The PM said the IAF's air attack on the Balakot terror camp, carried out in response to the Pulwama suicide bombing, should not be linked with the upcoming Lok Sabha polls. "If this is done for elections, were there elections when we carried out the first surgical strikes (in 2016)," he said. Referring to the 2008 attack at the Ahmedabad Civil Hospital, Modi said, "Should not those sitting in Delhi at that time have taught those sitting in Pakistan a lesson." After his Pakistan counterpart Imran Khan said that captured IAF pilot Abhinandan Varthaman will be repatriated to India as a "gesture of peace", Modi had said; Abhi abhi ek pilot project pura ho gaya. Abhi real karna hai, pehle toh practice thi. In his remarks on Thursday, Modi appeared to be making a reference to India's air strikes on terror camps in Pakistan when he said a "pilot project" was recently carried out and now the "real one" has to be done as the earlier exercise was a practice.